Our message is in our name. Go and Be. Everyday. In Every way. This is our journey... so far. Like all ideas, they carry with them a larger context of inspiration and influence. And the birth of what is evolving to be a larger than life social business with the simplest little message, originated in similar light. Co-founders, Jason Parete and Vicki Sinasac-Kholi, were enroute to a yoga class one evening in the spring of 2003. They were working within sales and management for what is now Movati Athletic in Ontario, traveling between the Amherstburg and Kingsville locations. They were discussing spirituality and life empowerment philosophy as they always did, at any time in everyday. And it was during this conversation that evening, that one of them utter Go and the other instantly followed with Be. To this day, neither knows which of the words they offered, only that they belonged together, in balance, as one. The business was interpreted at that time, to develop greeting cards that were geared for everyday use - not for special occasions as is the industry standard for card and gift giving. The philosophy of GoBe Greetings was to incorporate the energy and wisdom of ancient practices like yoga, thai chi and chi gong into the messages with the over arching ideas of inclusion and equality. They began to research ways to translate everyday words like "hello" and "thank-you" into various languages. What is simple and instantly accessible today through internet translation sites, was at that time, archaic, expensive and time-consuming. They researched options on the internet by having to visit their local library branch and calling translation service providers throughout Canada and the United States. Jason continued to resonate strongly with GoBe Greetings as much as he tried to downplay or deny it. There were personal opportunities that continued to shape his journey most notably, his decision to assist with tsunami relief projects in southern India in 2005. He worked with Dr. Annie Gasse, a French psychologist who worked with trauma affected children. He also helped in education and rebuilding projects. It was there that he also spent several months practicing yoga and understanding its philosophy in the foothills of the Himalayas. These experiences over those six months, profoundly impacted his commitment to this project, and in retrospect, influenced some of the social spirited programs that GoBe Inc. explores today. There are a small group of individuals that are at the core of inspiring a connection to the GoBe Inc. These additional four people (Renza Denomme, Stephanie Parete, Diane Lewicki & Christina Berliner) are responsible for breathing life into an idea through their participation and insight in building its foundation at various points between 2003 to 2014. Unbeknown to each of them, is that they each inquired about the state of that 2003 idea with Jason in the same week in the spring of 2014. The GoBe Inc. philosophy was collectively developed by that core team in its first official meeting in June 2014 in Toronto. It is understood as the company's mantra and formed its first greeting postcard which they delivered at festivals throughout that summer. It is also found on the reverse of each business card. It is shown on the banner at the top of this page. ​When we envisioned the dynamic nature of this project and the enormous work it would entail to shifting social constructs that stigmatize and limit empowerment, we were left with only one solution. And the solution was motivated through the ancient proverb, "There's no time like the present." And more recently, Theodore Roosevelt amplified that wisdom by saying, "Do what you can with what you have with where you are." And so our journey manifested. 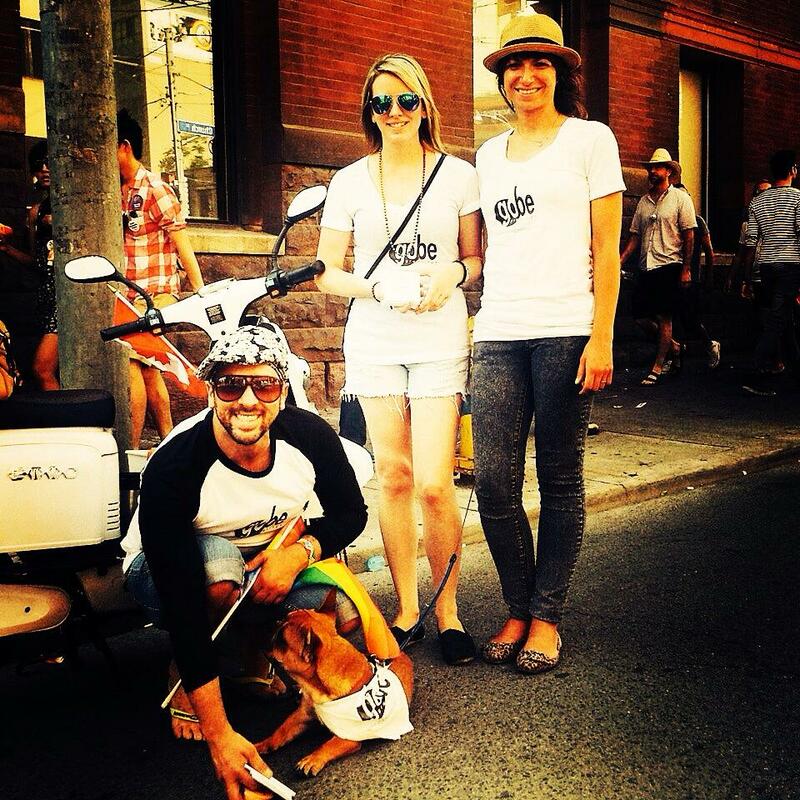 And because there was only the conceptual ideas of greeting products envisioned from a decade earlier, the intuitive spirit prompted our inaugural team to hit the streets of Toronto. 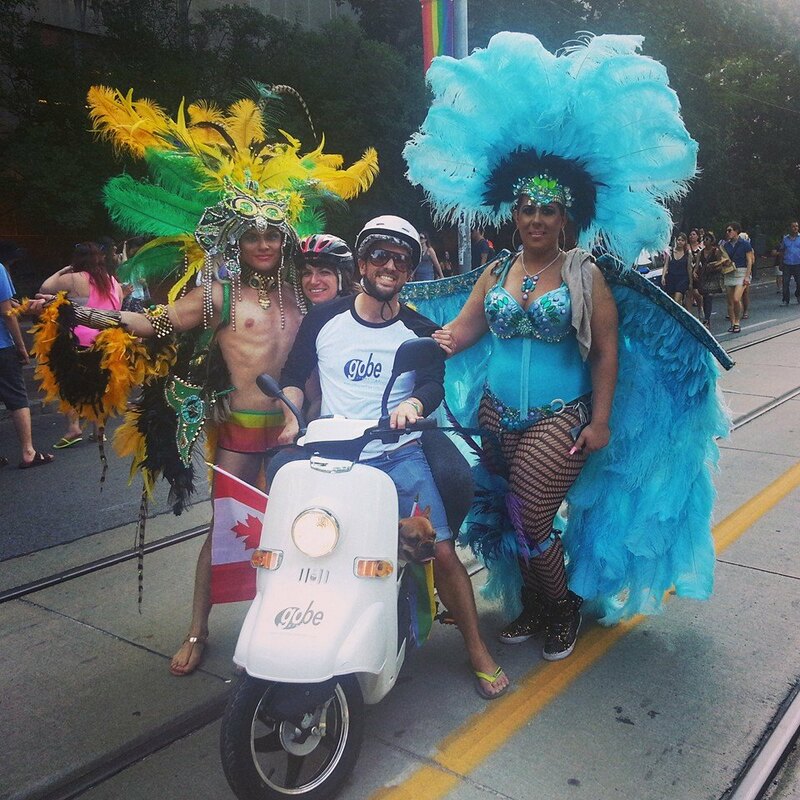 It happened to be World Pride 2014 where we arrived in a newly purchased eco-scooter to express ourselves in a human-friendly way. But it was the newest un-human member of the team, Cooper the bulldog, that was really the spirit of the show. 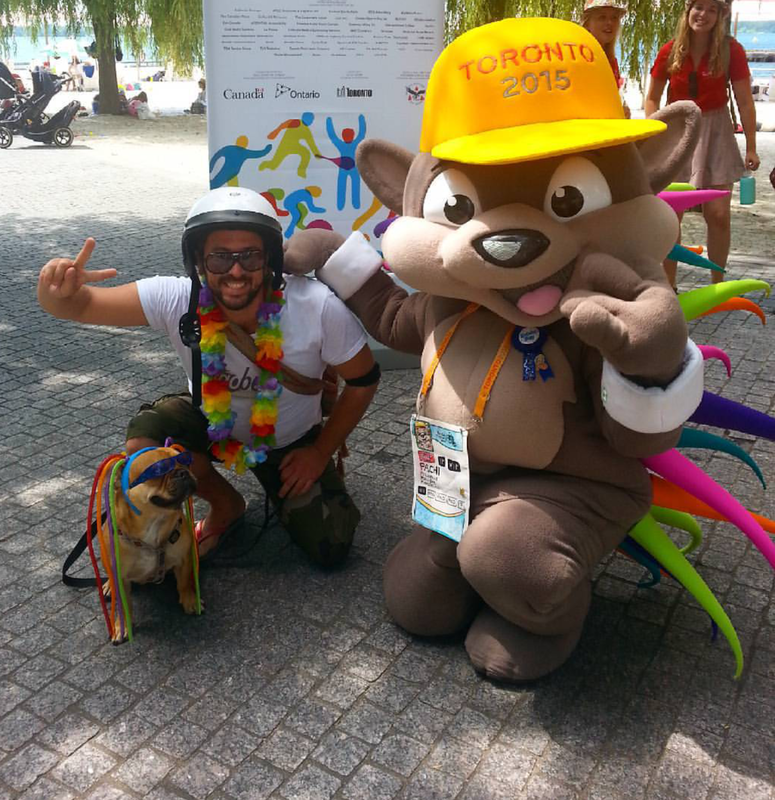 And from there, we continued to connect authentically with our community at events like on the red carpets of TIFF (The Toronto International Film Festival), welcoming the Americas to the Pan-Am Games in 2015; presenting at the 2015 United Nations commissioned conference The Global Change Initiative; raising money for the homeless during Coldest Night of the Year (2016 & 2017); and delivering food bags to the homeless with postcards created by children from a program we developed called Postcards from the Classroom. One thing was very clear - we were embodying our spirit. And we were already throwing conventional business methods aside for one that had collective consciousness at heart. It was almost 6 months into developing our spirit, that the team started to put a little pressure if not a bit of a panic. They asked, "Where are our greetings to sell?" And then a different type of creative exploration began. Special thanks is indebted to our core team and contributors, as well as our supporters of family and friends, for their belief in me, this project and our empowerment message. To see the friendship of support so far, please visit here. Thanks to you, for taking time to read this decade long journey, that has only just begun. To learn more about our products that we've created so far, and those that we're developing, please visit here. To meet our team of contributors that collaborate to develop our products and programs, please visit here. fellowship partners who have offered support in such authentic ways. for being here all over again! which can also be found on the menu tab at the upper right on this website. Or check out ways to connect below. Be a part of our evolving story. PayForward Program - you choose which of the human-friendly non-profits you want your donation to go when you purchase any of our products in our pay-it-forward program. The Everyday Blog - interact with our bloggers offering their unique perspectives that shape everyday empowerment. 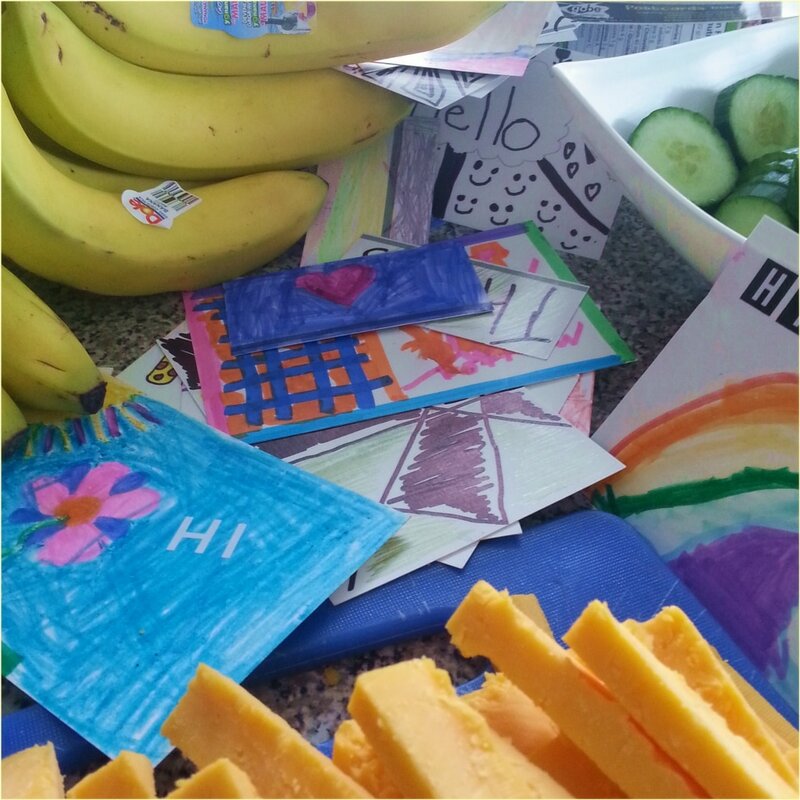 Postcards from the Classroom - please inquire if you're a teacher or community leader of kids 6 - 10 years. Join our Team - if you have a unique empowerment story to share or can help bring our products or programs to life, please let us know how your skills, connections or capital can help. Connect on Social Media - we have a variety of ways for you to stay connected to product and program development.